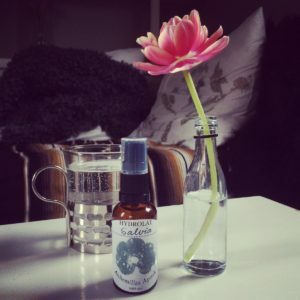 Geranium hydrosol will draw moisture to the skin acting as a wonderful hydrator. It makes a beautiful perfume or body spray. Extremely uplifting and balancing for the emotional body. Cooling for hot flashes, especially when blended with Peppermint Hydrosol, as either a spritzer or in a glass of cool water. Balancing to the emotions and the endocrine system. Very good for PMS. 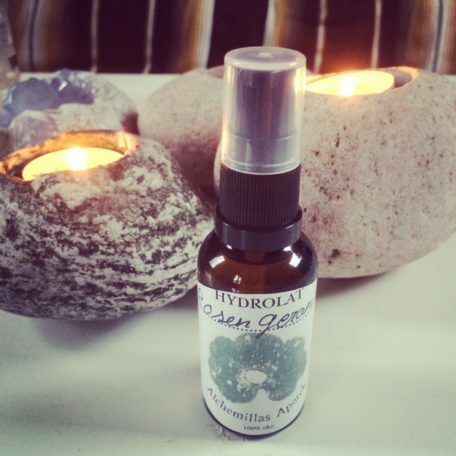 Acts as a cellular regenerative, so Geranium Hydrosol is a toner of choice for mature skin. Anti-inflammatory, useful for sunburns, rosacea, rashes, any condition where redness or heat is present; even broken capillaires. It is also hemostatic (slows or stops bleeding) so it is very effective to clean cuts, wounds and “kid injuries”. Energetically, it balances the twin spirits of male/female. Soothes melancholia and soothing to the soul. Acne. I recomend using the spagyric tincture internally and the hydrosol to spray on areas with acne. Flu and cold, spray around you and take 1 teaspoon in a little warm water. For children with a flu or cold, 1/2 teaspoon. It supports the immunesystem and is disinfectant. As a mouthrinse after brushing the teeth, for children prone to caries. Yeast and fungal infections, candida. Thyme has a strengthening effect on the mind. Thyme stimulates the Thymus gland and the adrenal cortex, which improves immunity and self-identity. Real intimacy is a sacred experience of unity. 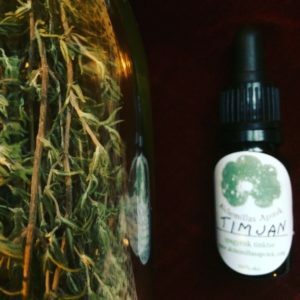 Damiana is an aromatic, cooling, tonic and astringent nervine. Calms the nervous system, especially good for social anxiety. Aphrodisiac. Mood enhancer. Helps to open up to other people, good for people who feel shy or experience anxiety around sensuality, helps a low libido. 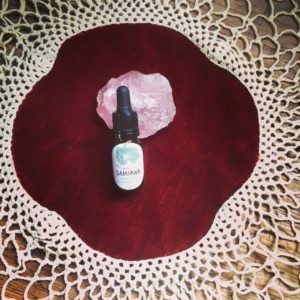 Damiana supports us to drop the guard and extend the feeling sense, develop compassion and open up the heart to receive electromagnetic fields. Supports receptivity, fluidity, allowing us to feel experiences deeply. Thyme is a powerful and deep detoxifier, opens pores, thin mucus and move fluids through tissues, deeply dredging the system so that heat and toxins can be removed. Thyme is a powerful and natural acne treatment. 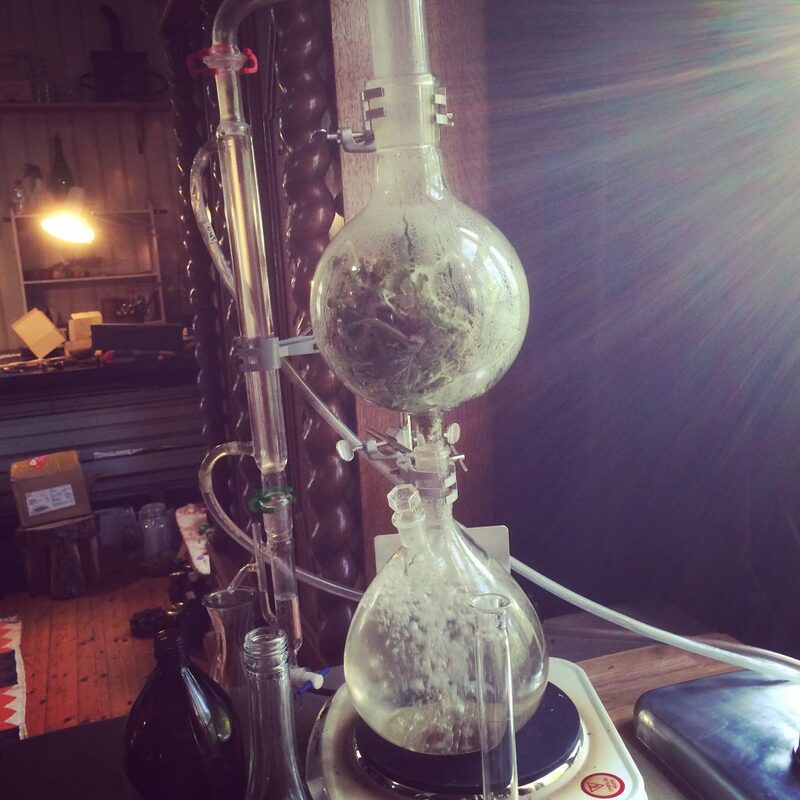 Try the hydrosol externally and the spagyric tincture internally. Thyme may be used for headache, hangover, bronchitis, yeast infections, thrush, gout and rheumatism. Stagnation of some kind. Matthew Wood writes in “The Earthwise Herbal: A Complete Guide to Old World Medicinal Plants” : “It is suited to people with deep unconscious issues that disturb the sleep. The mind may be preoccupied, but the problems come up from below consciousness. This fits the physical profile for Thyme, as it is a remedy for toxins and closed passageways deep in the body. Thyme is considered a parasympathetic relaxant. 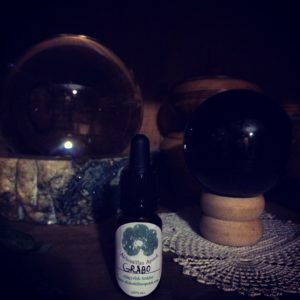 Sleep and dreams occur when the parasympathetic is running the ship, so disturbed sleep and dreams indicate that this branch of the autonomic cannot fully relax.” Carvacrol (which is present in the essential oil of thyme) has been shown to affect neuron activity in ways that boosts the feelings of well being. Thyme stimulates the Thymus gland and the adrenal cortex which improves immunity and self-identity. Sage hydrosol can be used to purify a space, persons or objects when burning insence is not permitted. As a mist it may be used as a circulatory stimulant. Sage helps balance the hormones and autonomic nervous system and may be helpful in easing the symptoms of menopause, PMS and menstrual cramps as a mist and taken internally diluted in warm water. When Sage hydrosol is applied at the onset of swollen lymph nodes, it can help reduce the swelling. It can be used for a sore throat, diluted in warm water or sprayed in the throat. An astringent that tones the tissues but is used to relax the tissues. It is this paradox that is the magic that agrimony shares with many other medicinal plants. Pain in the spine, flu when you have pain in your joints. Agrimony is also good for the kidneys and liver, poor digestion (indication: fat and undigested pieces of food in the poo), prevention of gall and kidney stones. Incontinence, cystitis, urinary tract infection. Agrimoy is superior for releasing tension and spasm, both on a physical and a psychological level. Agrimony is specifically indicated for those who try to hide their pain with a smile, behind a sophisticated and easy-going facade. Matthew Wood (The Earth Wise Herbal Vol 1) uses the phrase “torturedly cheerful” and it is very fitting. Agrimony supports the connection between the brain and the other brain – the gut feeling, the enteric system. Agrimony is about strengthening the gut and is good for people who get pain in the belly out of concern and worry, around meals and eating or nervous, tense social situations. Pressing the emotions down into the gut. 80% of Serotonin is produced in the gut, far more than in the brain. One should never underestimate the gut feeling. Hydrosols are the distilled herbal waters from the process of steamdistillation of essential oils. In alchemy the sulphur principle represents the initial light and the source of life, and it manifests in the essential oil, which is the soul of the plant. So hydrosols contain the soul of the plants and they operate especially on the level of the soul. It is possible to order other hydrosols from me than the ones listed in the shop. I distill regularly as a part of the spagyric process and I want to share what I do not need for spagyrics or what we use in my family. We bathe with hydrosol in the water, we drink them diluted, use them in cooking, as skincare , medicinally, for cleaning and laundry, to alter the vibration in a space or change of mood. We use them daily. Children and animals are very fond of them. Just specify which one you would like to order. They all come in a 30 ml brown glass bottle with a spraypump. The price is 70 kr + shipping. All hydrosols should be diluted in water before taken internally. 5-12 months stability. Keep dark, cool, preferably refrigerated. The herbs I distill are grown organically in my garden or by friends, or grow in the wild. They are harvested and distilled at astrologically optimal moments. Mugwort is a womb herb, used for PMS, menstrual pain and too much bleeding during menses. Mugwort can help people sensitive to light and noise, restless sleepers and sleepwalkers. It is also indicated for anemia. Good for memory especially for people who can´t remember simple words, names, but can describe complex, abstract and difficult concepts. Mugwort is indicated for people who get angry or arrogant when other people can´t follow their train of thought and people who speak fast, mumbled, words or syllables reversed. Mugwort is for highly intelligent, gifted and artistic people who lack common skills and comprehension. For those whom the intuitive, psychic, psychological, creative and artistic side of the mind is highly developed, but who have trouble with expression or with the world around them. 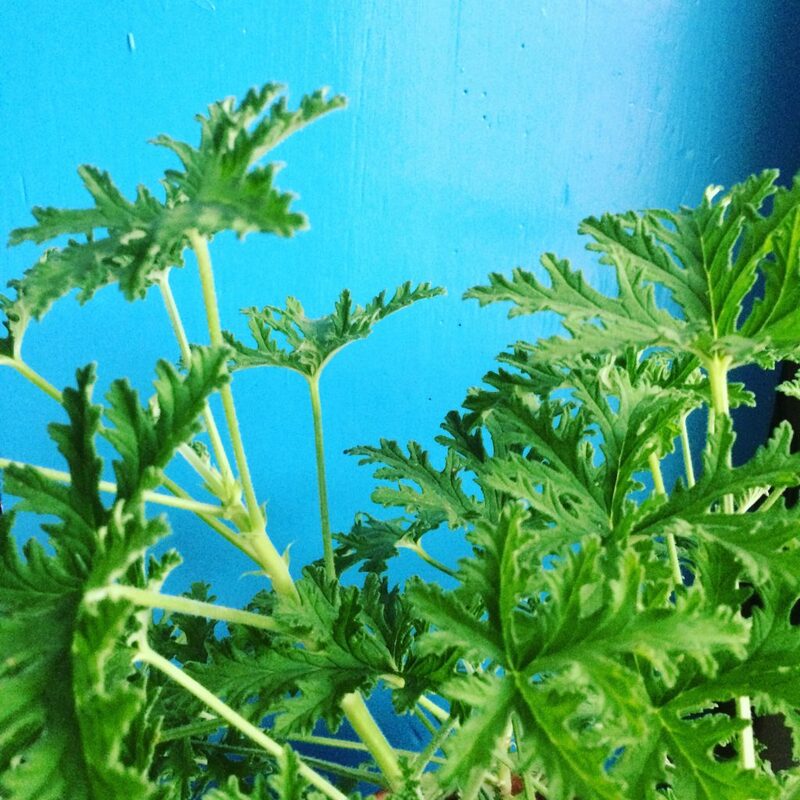 Mugwort is a dream herb. It is a herb for imagination, daydreaming, creative and intuitive processes. It is good for everybody, men included, who want to come into contact with their feminine instincts. Red Clover is a blood purifyer. Therefore it is good for exzema and acne. It is good as a detox. Because of its concentration of the phytoestrogens daidzein and genistein, which mimic the activity of estrogen, red clover has been studied for its use in alleviating the discomfort of menopause and PMS. Red Clover has a mildly tonic effect on the nerves, which in turn eases indigestion, nausea and headaches. From “A compendium of Herbal Magick” by Paul Beyrl.